Pierre Francois is a fifth-grade student who lives in Texas. As you may have guessed from the name, Pierre’s father is French. To his chagrin, Pierre spends his Christmas holiday in France with his grandparents. He tells his readers that he hates fifth grade because the boys are annoying and the girls are mean. 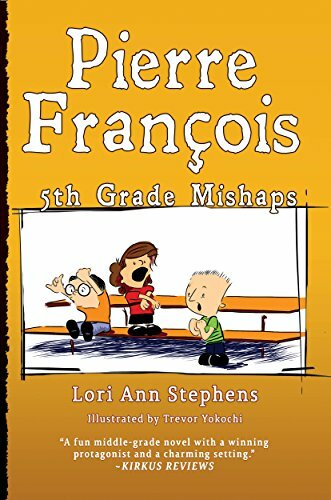 Readers follow Pierre’s troubles in school, his attempt to impress his friends by winning the spelling bee, his first crush on Cynthia, the new girl in school, and his disastrous camping adventure with school buddies. The book has a few simple illustrations. It is a pretty easy read, and I would categorize it as an early chapter book or a good choice for reluctant readers. Especially recommended for readers in grades three through six. Lots of humor and plenty of situations that they will find familiar.